Games are one of the great delights of a child. As we recognize its essence in a child’s overall learning, we integrate cognitive and physical sports in our center providing Child Care in Bronx, New York. Cognitive sports include board games such as puzzles, while physical games can be soccer or basketball. Hence, it’s very vital for parents to extend total support to their child whenever they engage in sports activities. Your child can get to move and exhaust their strength during physical sports, consequently giving them a well-exercised body. When they can exercise, their strength is enhanced, happy hormones released, and they have a happier disposition and healthier body. As your child engages with sports activities, such as what we provide in our Day Care Center in New York, they get to enjoy the company of playmates. They can also develop friendship and better communication skills with other children their age. Supporting them in sports activities can also strengthen their confidence in facing other people. The more that your child engages in sports activities, the more that they get exposed to the character disciplines in the game. One of these vital virtues is sportsmanship. In every game, not everybody wins. When your child learns this, they will be able to accept losses gracefully while also play with their best. In every game, even if it involves children, you can almost always expect incidences of pain, wounds, or scratches. When your child is engaged in sports, they get to experience being with other children who get wounded, and so they can exercise the attitude of valuing how others feel. They can also develop a sense of respect for the way other participants play. As your child plays in their Preschool activities, they will learn to pay attention to instruction, perform the game well, and finish the activity until the end. This is another way for them to enhance their concentration skills. When they’re able to focus, they can also take advantage of this attitude in other areas of their lives, especially with their lessons in class. Is your child fond of playing games? Some children are into the cognitive kinds of sports, while others are into physical games. It’s ideal not to push your child to an activity that they don’t feel comfortable with, as this may defeat the benefits of the game. While you can persuade gently, it still helps to respect what they want to participate in. It’s a good thing that at Tender Years Childcare, your child will have plenty of activities to choose to get involved in. This way, they can fully enjoy the lifelong benefits of participating in the happenings around them, especially in their preschool. Let us know what you think about this post by leaving your comments below! 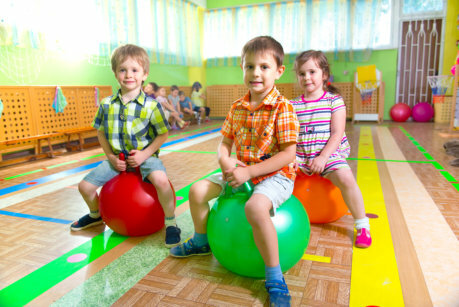 This entry was posted in Preschool Classroom and tagged child plays, physical exercise, playing games benefits, preschool activities, socialization skills. Bookmark the permalink.